Not quite what I saw in cartoons. 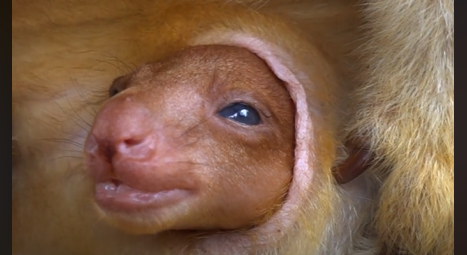 A video filmed at the Healesville Sanctuary captured a baby joey peering out of his mother's pouch for the very first time and it has viewers confused. The baby kangaroo, named Kofi, is the first Goodfellow's tree kangaroo to be born at the sanctuary but rather than well wishes commenters had questions. "I knew that kangaroos had pouches but for some reason, I thought they were legit a flap of skin that went over their belly like a pants pocket?" "Cartoons lied to me. They made me think the pouches were these cute little pockets. That's not what this is at all." 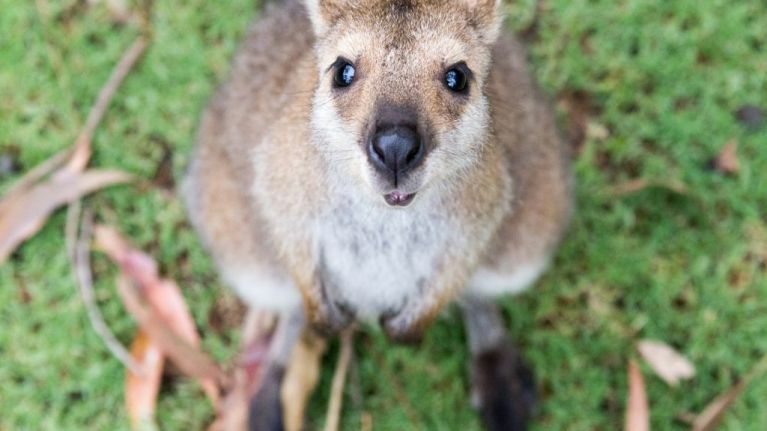 Are kangaroo pouches just front facing vaginas? "Does anyone else wonder where they poo & pee when they are too young to come out?" Of course, there were lots of Aussies in the comment section laughing at the fact that the rest of the world was not aware of this. It's not our fault though, the telly lied to us.